Marian with her animals. St. Francis and Marian have to be the best friends in Heaven. 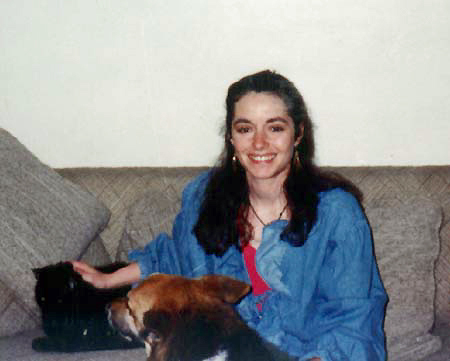 Marian with Isis (German Shepherd) and Renaldo (the marvelous black cat about town who died not long after Marian).